Preheat the oven to 200ºC. Peel the apples and cut them into quarters. Put the apples, sugar, lemon zest, lavender and the butter in a sauce pan. Simmer in low heat until the apples become caramelized for about 10 minutes. Roll out the pastry over the top of the pan. Bake for 20 to 30 minutes. 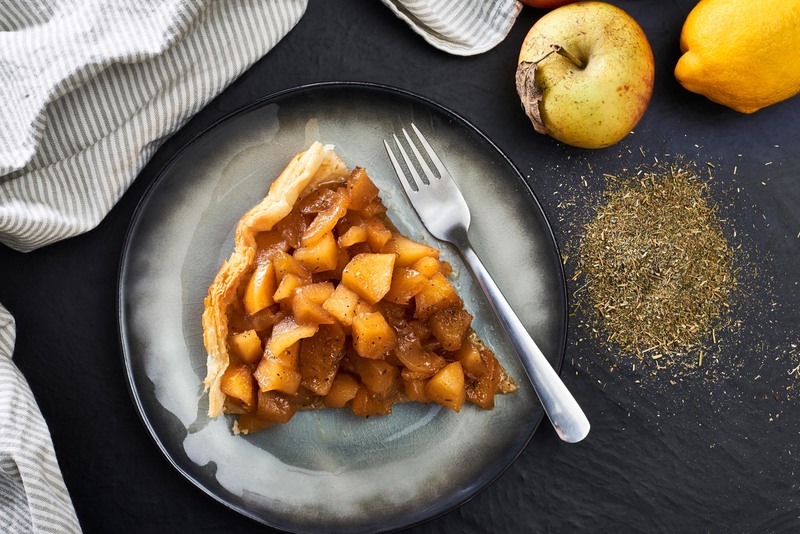 When the pie is ready, turn it to a serving plate and sprinkle with a little more lavender and lemon zest for garnish. Do you wish to add lavender to your cart?